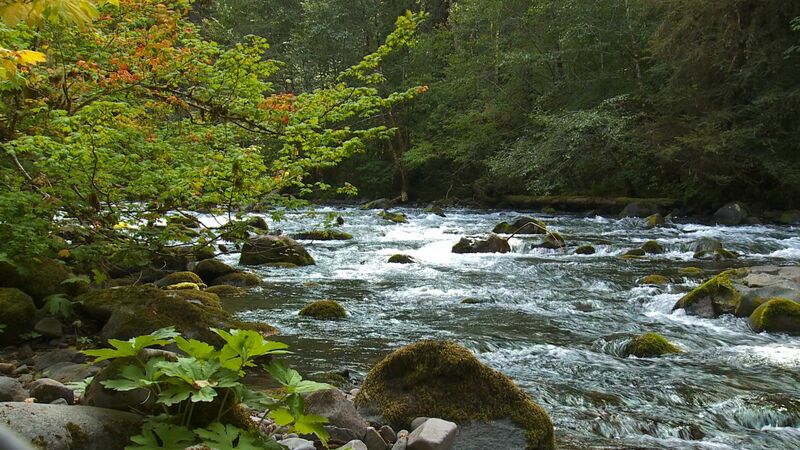 The McKenzie River Valley is located less than an hour from Eugene-Springfield, along a 68 mile long corridor encompassing the communities of Leaburg, Blue River and McKenzie Bridge. Outdoor enthusiasts are drawn to the area for whitewater rafting, fishing, boating, cycling, camping, and golf. Tokatee Golf Course offers breathtaking views and championship golf and has been ranked as one of the "Best Courses in Oregon". There is also Belknap Hot Springs Resort that features 2 mineral hot spring pools and acres of lavish gardens. Many biking and hiking trails including The McKenzie River National Recreation Trail, a 26 mile stretch that winds through many volcanic formations, the half mile loop Delta Old-Growth Nature trail built for exploring the old growth ecosystem, and the Robinson Lake Trail, which leads to a heart-shaped lake with fishing and swimming. McKenzie River School District enrolls students in K-12 and serves all students on one campus. Updated: 22nd April, 2019 6:54 AM.